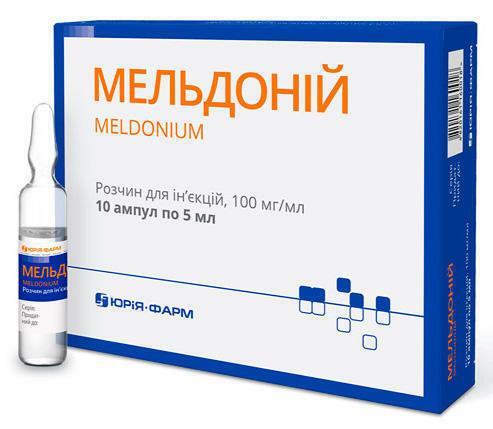 Meldonium 100 mg / ml solution of 5 ml ampoule № 10- instructions for use, pharmacological properties, indications and contraindications. auxiliary substances: sodium hydroxide, hydrochloric acid diluted, water for injection. Cardiological preparations . ATX Code C01E B22. Meldonium is a precursor of carnitine, a structural analogue of gamma-butyrobetaine (GBB), in which one carbon atom is replaced by a nitrogen atom. Its effect on the body can be explained in two ways. Effect on the biosynthesis of carnitine. Meldonium, reversibly inhibiting gamma-butyrobetaine hydroxylase, decreases the biosynthesis of carnitine and therefore prevents the transport of long chain fatty acids through cell membranes, thus preventing the accumulation of strong detergent-activated forms of unacidified fatty acids in cells. So, damage to cell membranes is prevented. With a decrease in carnitine concentration under conditions of ischemia, beta-oxidation of fatty acids is delayed and oxygen consumption in cells is optimized, glucose oxidation is stimulated, and transport of ATP from the sites of its biosynthesis (mitochondria) to places of consumption (cytosol) is restored. In fact, cells are provided with nutrients and oxygen, and the consumption of these substances is optimized. In turn, with increasing biosynthesis of the carnitine precursor, that is, GBB, NO-synthetases are activated, as a result of which the rheological properties of the blood improve and the peripheral resistance of the vessels decreases. With a decrease in the concentration of meconium, the biosynthesis of carnitine again increases and the number of fatty acids gradually increases in the cells. It is believed that the basis of the effectiveness of the action of meldonia is an increase in tolerance to the cellular load (with a change in the amount of fatty acids). Function of the mediator in the hypothetical GBB-ergic system. A hypothesis has been put forward that in the body there is a system for the transmission of neuronal signals - the GBB-ergic system, which ensures the transmission of a nerve impulse between the cells. The mediator of this system is the last precursor of carnitine - GBB-ether. As a result of the action of GBB-esterase, the mediator gives the electron to the cell, thereby transferring the electrical impulse, turns into a hydrolyzed form of GBB, is actively transported to the liver, kidneys and ovaries, where it turns into carnitine. In somatic cells, in response to stimulation, new HBB molecules are newly synthesized, providing signal propagation. With a decrease in the concentration of carnitine, synthesis of GBB is stimulated, as a result of which the concentration of the GBB ether increases. Meldonium, as indicated earlier, is a structural analogue of GBB and can serve as a "mediator". In contrast, GBB-hydroxylase "does not recognize" meldonium, therefore the concentration of carnitine does not increase, but decreases.Thus, meldonium, replacing the "mediator" and contributing to the increase in the concentration of GBB, leads to the development of an appropriate reaction of the organism. As a result, the total metabolic activity also increases in other systems, for example, in the central nervous system (CNS). Influence on the cardiovascular system. 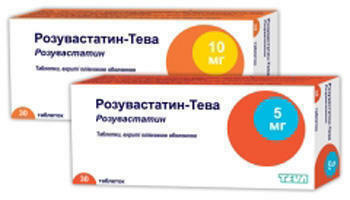 In animal studies, it has been established that meldonium positively affects contractile activity of the myocardium, it has myocardioprotective action (including against catecholamines and alcohol), it is able to prevent cardiac rhythm disturbances and reduce the zone of myocardial infarction. Ischemic heart disease (stable angina pectoris load). 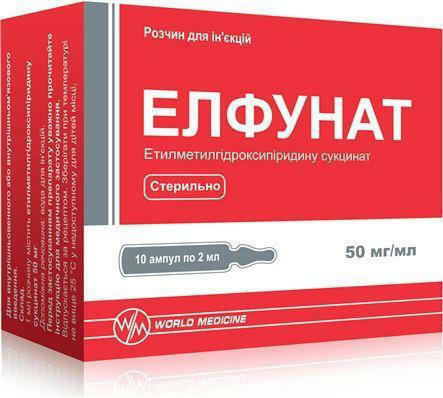 Analysis of the data of the studies course of the use of meldonium in the treatment of stable angina pectoris load showed that the drug reduces the frequency and intensity of angina attacks, as well as the amount of glyceryl trinitrate that is applied. The drug has a pronounced antiarrhythmic effect in patients with ischemic heart disease (IHD) and ventricular extrasystoles, less effect is observed in patients with supraventricular extrasystoles. Particularly important is the ability of the drug to reduce oxygen consumption at rest, is considered an effective criterion for antianginal therapy of ischemic heart disease. Meldonium favorably affects the atherosclerotic processes in the coronary and peripheral vessels, reducing the overall serum cholesterol level and the atherogenic index. It was found that the use of meldonia improves the inotropic function of the myocardium and increases tolerance to physical activity, improves the quality of life of patients without causing serious side effects. In case of severe heart failure, meldonia should be used in combination with other traditional therapies. Influence on the central nervous system. In animal experiments, the antihypoxic effect of meldonia and the effect on cerebral circulation have been established.The drug improves the redistribution of the volume of cerebral circulation in favor of ischemic foci, increases the strength of neurons in hypoxic conditions. The drug has a stimulating effect on the central nervous system - increased motor activity and physical endurance, stimulation of behavioral reactions, as well as anti-stress action - stimulation of the sympathoadrenal system, accumulation of catecholamines in the brain and adrenal glands, protection of internal organs from changes caused by stress. It is proved that meldonium is an effective agent in the complex therapy of acute and chronic disorders of cerebral circulation (ischemic stroke, chronic cerebral circulatory insufficiency). 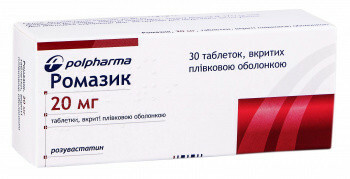 Meldonium normalizes the tone and resistance of the capillaries and arterioles of the brain, restores their reactivity. The influence of meldonia on the process of rehabilitation of patients with neurological disorders (after the diseases of the blood vessels of the brain, brain operations, injuries, tick-borne encephalitis) has been studied. The results of testing the therapeutic activity of meldonia indicate its dose-dependent positive effect on physical endurance and restoration of functional independence during the recovery period. When analyzing changes in individual and total intellectual functions after application of the drug, a positive effect on the restored process of intellectual functions during the recovery period was established. It is established that meldonia improves the convalescent quality of life (mainly due to the renewal of the body's physical function), besides it eliminates psychological disturbances. Meldonium has a positive effect on the function of the nervous system to reduce disturbances in patients with neurologic deficits during recovery. Improves the overall neurological state of patients (reduction of damage to the brain nerves and pathology of reflexes, regression of paresis, improvement of coordination of movements and autonomic functions). Pharmacokinetics was studied in healthy volunteers using meldonium intravenously and orally. Bioavailability is 100%. The maximum concentration in the blood plasma (C m ax) is reached immediately after administration. After the administration of multiple doses, C m ax reaches 25.5 ± 3.63 μg / ml. With intravenous administration, the area under the concentration-time curve (AILS) after single and repeated dosing of meconium differs, indicating a possible accumulation of meldonia in the blood plasma. Meldonium from the blood stream is quickly distributed in tissues with high cardiac affinity. Meldonium and its metabolites partially pass through the placental barrier. In animal studies, it is established that meldonia penetrates into breast milk. In studies of metabolism in experimental animals, it has been established that meldonia is mainly metabolized in the liver. In the derivation of meldonium and its metabolites from the body, renal excretion is important. After a single dose of 250 mM, 500 mg and 1000 mg of the half-life of meldonia is 5.56-6.55 hours, the final elimination period is 15.34 hours. Older patients with impaired liver and kidney function, in which bioavailability increases, it is necessary to reduce the dose of meldonia. Patients with impaired renal function, in which bioavailability increases, it is necessary to reduce the dose of meldonia.There is an interaction of renal reabsorption of meldonia or its metabolites (eg, 3-hydroxymeledonium) and carnitine, which increases the renal clearance of carnitine. There is no direct effect of meldonia, GBB and meldonia / GBB on the renin-angiotensin-aldosterone system. Patients with impaired liver function, in which bioavailability increases, it is necessary to reduce the dose of meldonia. In studies of toxicity in rats with the use of meldonium in a dose of 100 mg / kg, the color of the liver is yellow and the denaturation of fats. In histopathological studies on animals after the application of large doses of meldonia (400 mg / kg and 1600 mg / kg), accumulation of lipids in liver cells has been established. Changes in liver function in humans after applying large doses (400-800 mg) were not observed. It is impossible to exclude the possible infiltration of fats into liver cells. There is no data on the safety and efficacy of mildonia in children (under the age of 18), so the use of a drug in this category of patients is contraindicated. in the recovery period after cerebrovascular disorders, head injuries and encephalitis. 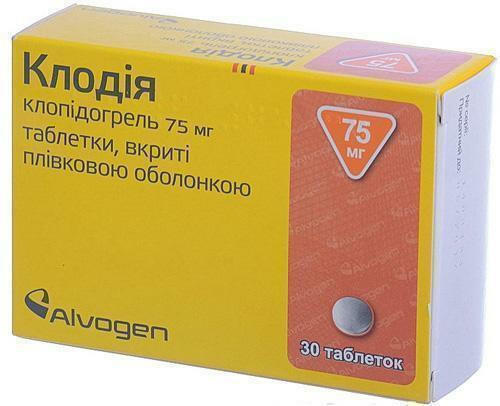 Meldonium can be used together with long-acting nitrates and other anti-anginal agents (stable angina of the load), cardiac glycosides and diuretic drugs (heart failure). It can also be combined with anticoagulants, antiaggregants, antiarrhythmics and other drugs that improve microcirculation. Meldonium can enhance the action of drugs containing glyceryl trinitrate, nifedipine, beta adrenoblockers and other antihypertensives and peripheral vasodilators. As a result of simultaneous application of iron preparations and meldonium in patients with anemia caused by iron deficiency, the composition of fatty acids in erythrocytes was improved. When meldonium is used in combination with orotic acid, an additional pharmacological effect is observed to eliminate damage caused by ischemia / reperfusion. 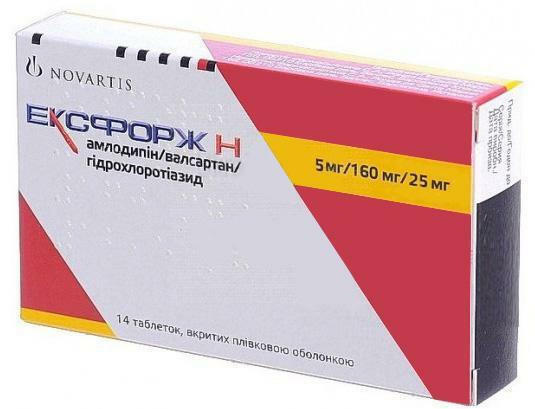 Meldonium helps to eliminate pathological changes in the heart caused by azidothymidine (AZT), and indirectly affects the oxidative stress reactions caused by AZT, which lead to mitochondrial dysfunction. The use of meldonia in combination with azidothymidine or other drugs for the treatment of AIDS has a positive effect in the treatment of acquired immunodeficiency (AIDS). In the loss test of the equilibrium reflex caused by ethanol, meldonium reduced the duration of sleep. During the trial, caused by pentylenetetrazole, a pronounced anticonvulsant effect of meldonia is established. In turn, when anticonvulsant action is completely blocked in the dose of 10 mg / kg before treatment with meconium alpha-2-adrenoblocker yohimbine at a dose of 2 mg / kg and an inhibitor of nitric oxide synthase (COA) N- (G) -nitro-L-arginine mulled stone. An overdose of mecedonia can exacerbate the cardiotoxicity caused by cyclophosphamide. The deficiency of carnitine, which is formed by the application of meldonia, can enhance the cardiotoxicity caused by Ifosfamide. Meldonium has a protective effect in case of cardiotoxicity caused by indinavir, and a neurotoxic effect caused by efavirenz. Do not use together with other preparations containing meldonia, since the risk of adverse reactions may increase. Patients with mild or moderate hepatic and / or renal impairment in history should be cautious when using the drug (liver and / or kidney function should be monitored). Many years of experience in the management of acute myocardial infarction and unstable angina in cardiac units shows that meldonium is not a first-line drug in acute coronary syndrome. To assess the impact of meldonium on pregnancy, the development of the embryo / fetus, childbirth and the postnatal development of animal studies is not enough. The potential risk for humans is unknown, so meldonium is contraindicated during pregnancy. The available data on animal studies indicate the penetration of meldonia into breast milk. It is unknown, penetrates the meldonia into breast milk. It is impossible to exclude the risk for newborns / infants, so during breastfeeding meldoon is contraindicated. Studies of the effect on the ability to drive transport and service other mechanisms have not been conducted. Apply intravenously. The use of the drug does not provide for special preparation before administration. In connection with the possible exciting effect of the drug is recommended to use in the morning. The dose of 500 mg - 1000 mg (5-10 ml) per day, the dose administered at a time or by distributing it on 2 injections.The maximum daily dose is 1000 mg.
A dose of 500 mg (5 ml) per day. The maximum daily dose is 500 mg. The duration of the course of treatment is 4-6 weeks. The course of treatment can be repeated 2-3 times a year. Older patients with impaired liver and / or kidney function can reduce the dose of meldonia. Because the drug is excreted by the kidneys, patients with mild and moderate renal dysfunction should take a smaller dose of meldonia. Patients with mild to moderate liver function impairment should be treated with a smaller dose of meldonia. There are no data on the safety and efficacy of meldonium use in children (under the age of 18 years), so the use of meconium in this category of patients is contraindicated. No cases of an overdose of meldonia have been reported. The drug is low in toxicity and does not cause dangerous side effects. With lowered arterial pressure, headaches, dizziness, tachycardia, general weakness are possible. Treatment is symptomatic. In case of severe overdose, it is necessary to monitor the liver and kidney function. Hemodialysis does not have a significant effect in overdose meldonia due to pronounced binding to blood proteins. Side effects are classified according to the systems of organs and frequency MedDRA: often (> 1/100 to <1/10), rarely (> 1/10000 to <1/1000). Store at a temperature not exceeding 25 ° in its original packaging. Do not freeze. Keep out of the reach of children. To 5 ml in an ampoule; 5 ampoules in blisters; 2 contour packing in a pack.